Calvin L. Smith: Hillel Cohen's "Army of Shadows"
I'm currently wrapping up my reading of Hillel Cohen's scholarly and fascinating Army of Shadows, an historical work exploring Arab responses to Zionism in British Mandate Palestine prior to the establishment of the State of Israel in 1948. Cohen identifies and discusses a substantial portion of the Arab population which, for various motives, provided the Zionists with support and assistance, whether selling land, providing political or economic support, or extend security help. 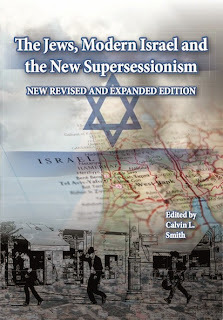 The book identifies a range of motives, whether genuine support for the Zionist project, idealism, support driven by opposition to the Grand Mufti of Jerusalem Hajj Amin al-Husseini or his vision of nationalism, clan or village benefits and motives, personal reasons (e.g. economic gain), and a recognition of the inevitability of a Zionist state and the need to work with rather than against the Jews. For their part al-Husseini's Arab nationalists considered such Arabs collaborators and traitors, and Cohen traces how they were ostracised, suffered physical violence and eventually murdered, which were regarded as politically justified acts to further the Arab nationalist cause. Meanwhile, the definition of collaborators and traitors was increasingly widened to capture anyone who had dealings with the Jews (reading these sections, one is struck by just how many Arabs were regarded as collaborators according to al-Husseini's definition). The book highlights how Arab nationalism enjoyed its strongest support among urban elites, while the sheiks and fellahin of the countryside were somewhat less enthusiastic. Thus, a reading of the book helps illustrate how Arab nationalism was riven with division and infighting and perhaps doomed to failure (unlike the Zionist project, which was united and single-minded in its aims). Cohen, one of the so-called New Historians, manages to bring an air of objectivity and professionalism to the study of an emotive issue, and the result is a book which is all the more readable and authoritative for it. For Christians interested in modern Israel and events in the Middle East the book is valuable for several reasons. It provides useful historical insight into the years leading up to Israeli independence, challenging the notion held by some on the fringes of Christian Zionism that the land was almost empty when the Zionists began to arrive, or that Palestinian nationalism is a recent phenomenon (to be sure, its current expression is relatively recent, but Arab nationalism under the Grand Mufti developed strongly during the British Mandate period, though it was not limited to a state in geographical Palestine). It also challenges arguments promulgated by some anti-Israel Christians that an influx of Jews stole Arab land. In fact, in British administered Palestine there was a legal process to buy land, and the only way in which Zionism could expand was through acquisition of land from Arabs. Thus the sale of land itself was defined by al-Husseini's nationalists as a traitorous act. (In the lead up to the war Jewish land holdings were small, which were of course expanded massively when the new Israel took over ownership of Mandate-owned state land.) That Arabs still continued to sell land, whether for personal economic reasons or out of a genuine desire to help the Jews, demonstrates not only the divided nature of Arab nationalism, but also challenges the lie that the Zionists stole Arab lands as they arrived in the country. Cohen traces friendly relations between Jews and Arabs in some parts of the country, singling out the inhabitants of Abu Gosh as a prime example (indeed, my daughter, who currently lives and works in Abu Gosh, recently explained to me something of this history and the town's close friendship towards Jews). The book's narrative therefore allows for wider theological reflection upon relations between Jew and Arab in Israel today. Some anti-Israel Christians argue that Israel is currently in rebellion against God because she does not, as demanded in the Old Testament law, care for and treat with respect the alien (interpreted by such people to mean the Palestinian people) within its midst. This argument is fallacious because, while in the Torah God does indeed command the Israelites to care for the alien, the command is reciprocal, that is, for their part the alien must reciprocate by coming into covenant with Israel (including particular observances central to Israelite communal and national life and faith). This is far removed from that segment of the Palestinian people, particularly their leaders, who seek Israel's destruction. But an analogy does work in the case of the Arabs in Mandate days who supported and assisted the Zionists for altruistic reasons, as well as Arab Israelis today who have covenanted to life in and become part of Israel. I suggest it is such people whom best fit a modern day example of the alien argument, and as such Israel owes some responsibility towards them. That, on the whole, it treats its Arab population well is arguably one illustration of the alien Torah laws in practice, while conversely when Israel has been less than caring towards its minorities it illustrates an example of these laws not being observed. This is also the case in the period Cohen examines, during which some Zionists did not always appreciate (or honour them for) the dangers some Arabs placed themselves in through friendship with or by assisting the Zionists. Finally, the book sheds some light on to the unfortunate history of the Palestinians through their national leaders. Reading Cohen's book one is struck by how nothing has really changed, how Palestinian national politics continue to be riven with division, infighting and personal interests, rather than the greater good of the wider population, as well as the same history of vitriol and violence aimed not only at the Jews but also Arabs who seek to work and live with them in peace. The Grand Mufti of Jerusalem, of course, famously allied himself with Hitler while Europe's Jews went to the gas chambers in their millions, and his people have paid a heavy price for his and inept political leadership ever since. For their part, the Arabs who agreed to come into covenant with the early Jewish Zionists, and more recently the State of Israel, have had a quite different (if not perfect) experience. A another useful Mandate period book, then, which will help Christians on both sides of the Israel debate to dispel several commonly-cited myths surrounding the history of Israel and the Palestinians, allowing for a more reasonable and objective debate, which can only be a good thing.